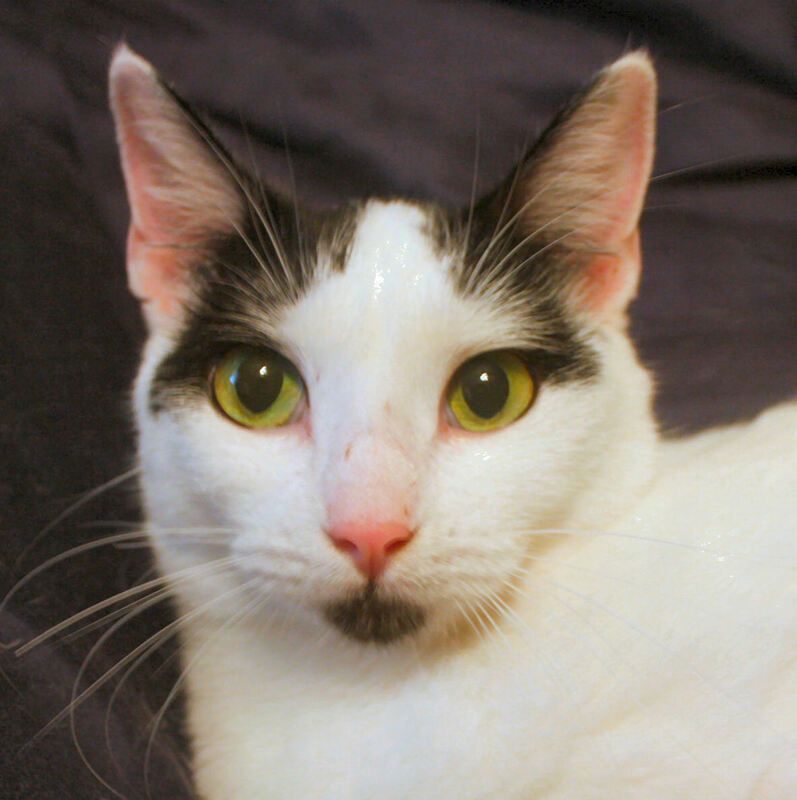 Kabuki appeared outside the shelter one day when she was very young. We began feeding her and trying to tame her. When she was old enough to be spayed, we trapped her. She has been inside ever since her spay and has adapted well to living with the other cats but is still very shy with humans and for this reason is probably not adoptable.